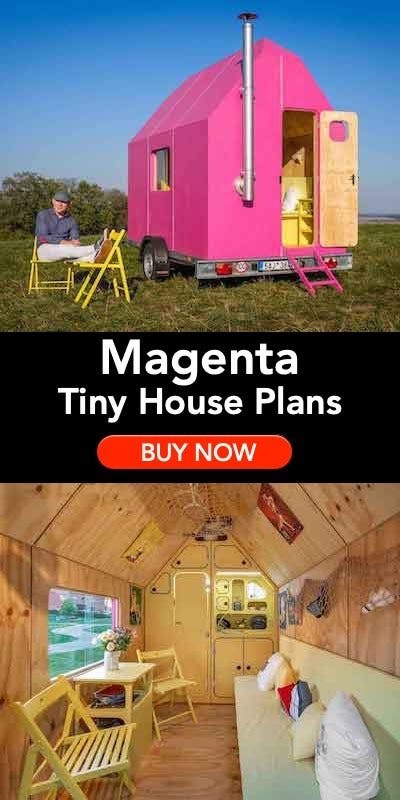 Asia contacted me the other day about an interesting tiny house concept. Asia is the owner of a company called Laurel Nest Yurts. 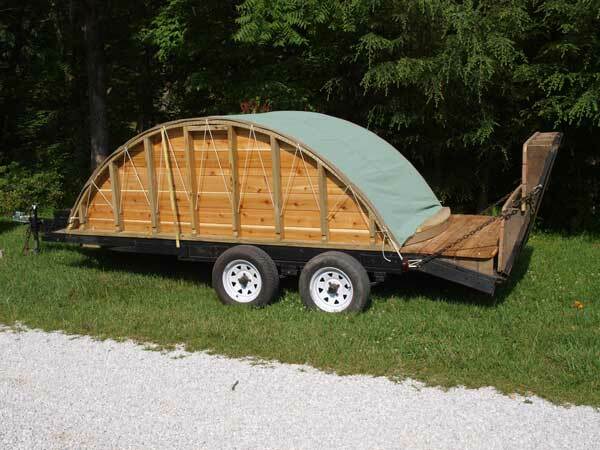 Here is what Asia had to say: We just “invented” a yurt on a trailer, with a round deck. The Mongolians invented yurts as a portable structure. 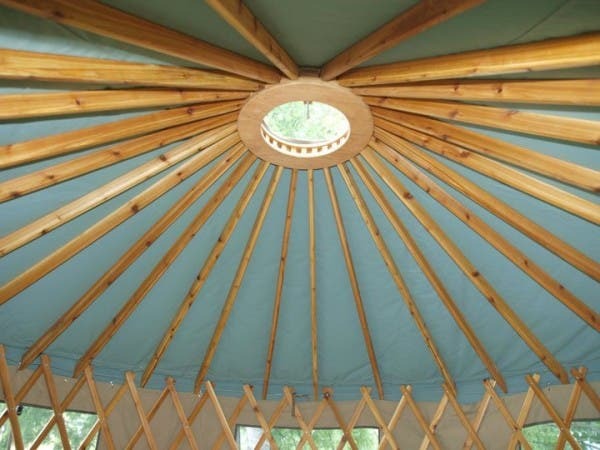 Laurel Nest Yurts invented the Yurtle TM as a portable yurt structure on wheels. Our Yurtle is a mobile home that is affordable, elegant, and sustainable. Our smallest model uses less than 50 yards of fabric, 30 2x4s, 2 sheets of plywood, and 35 decking boards. 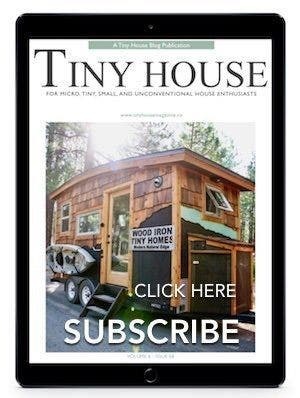 The Yurtle is a tiny house with tiny materials, totaling about 110 square feet plus a small porch. 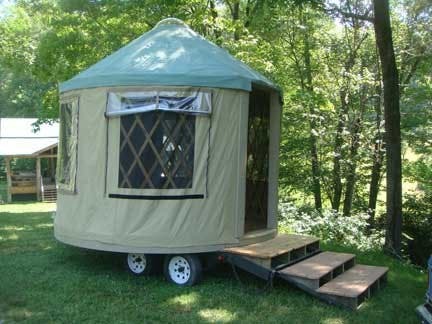 Our Yurtle is a yurt on top of a customized double axle utility trailer with a collapsible round deck made from cedar decking boards. 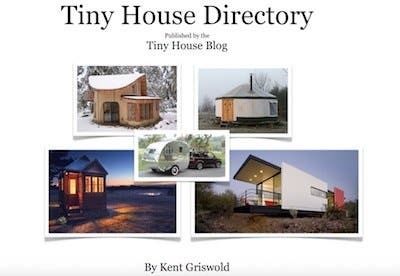 They are lovely spaces that can be used as a small home on the road. Drive out to a nice camp spot, sleep in the turtle shell overnight, and keep on going. If you decide to stay a few days, spend an hour and set up your cozy home away from home. 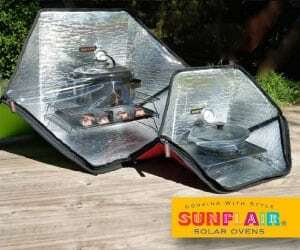 The yurt sets up easily on the deck, and offers a comfortable and safe shelter. If you would like to learn more about Asia’s products please visit Laurel Nest Yurts at laurelnest.com or call 1-877-Eco-Yurt. Thanks Asia for letting me know about your cool product. Doesn’t look to bad inside. With things arranged right, it could work out nicely. I kind of love everything about the yurtle. I’m hoping to yurt full time eventually, but had to put it on hold for a while. A yurtle could hold me over until then though. I think I’ll be investigating this further. I was wondering if this would be possible? It would sure simplify needing to move the yurt more frequently on the land, but not having to take everything down and up. Thank you for pursuing this idea! I’d love to see more pictures about how you did it! 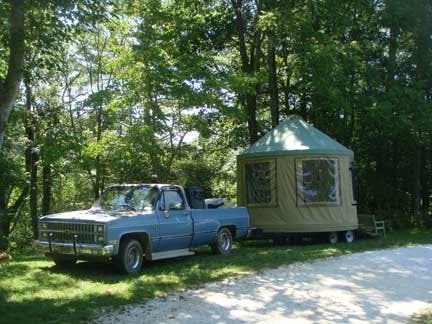 It looks like the set up would be pretty similar to a regular yurt only this one is smaller. It says an hour set up. 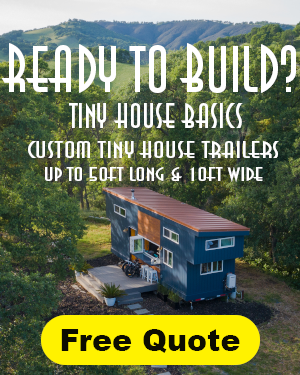 Still pretty cool because the trailer is perfect to use as a foundation/deck and perfect to move it around. I’m sure it can be pulled with most vehicles too (probably light weight) and looks aerodynamic when it’s closed up. when living in a mobile home, what is the address one uses to pay a cellphone bill, or set up a credit card? 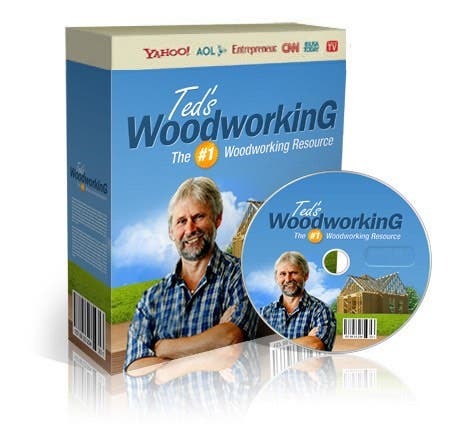 There are several mail forwarding services. I have used Escapees for years. And most bills are done online. Several years ago I saw pictures and a brief description of a 18ft Yurtle built by Laurel Nest Yurts. Does anyone know how to find this information? Their website does not seem to be up anymore. I’m assuming they are no longer in business. 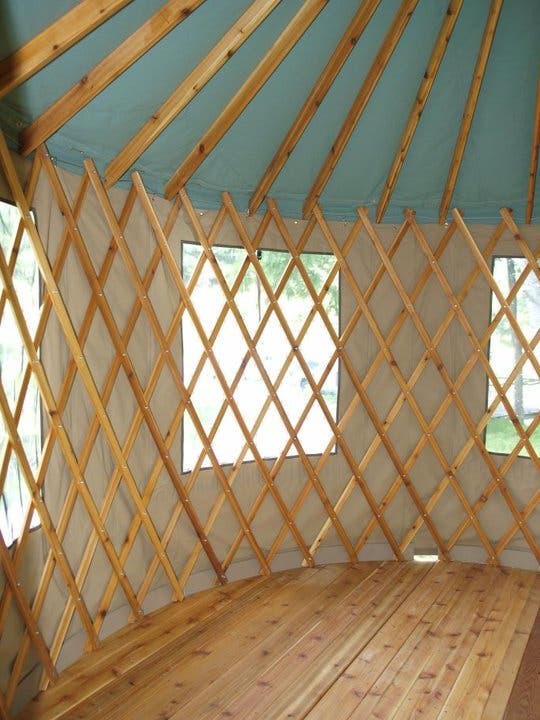 You may need to look at other yurt builders.